Get organized and keep track of your stuff with these fun labels in a variety of designs. 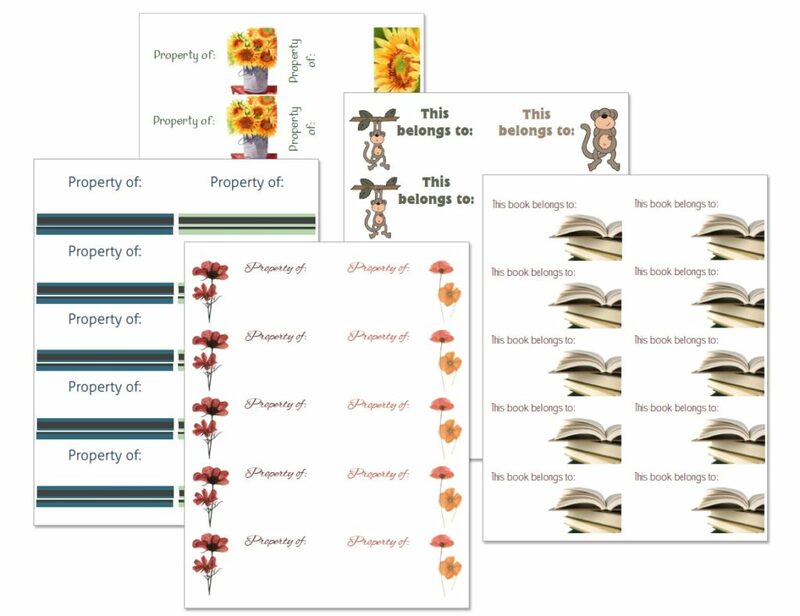 Whether you’re looking for a generic “property of” label or specifically for book labels, we’ve got you covered. These print on Avery Mailing Label 8163 (or 15163, 18163, 5163, 5263, 5523, 5663, 5963, 5978, 8253, 8463, 8663, 8763), and there’s a style for everyone!